Ukrainian President Petro Poroshenko said on Saturday his country had stepped up security at vital infrastructure sites such as nuclear power stations and Black Sea ports in the face of what he called a Russian test of the world order. “(Russia) has deployed land forces of around 80,000 Russian troops, about 1,400 artillery and missile systems, 900 tanks, 2,300 armored vehicles, about 500 planes and 300 helicopters,” Poroshenko wrote on Twitter. 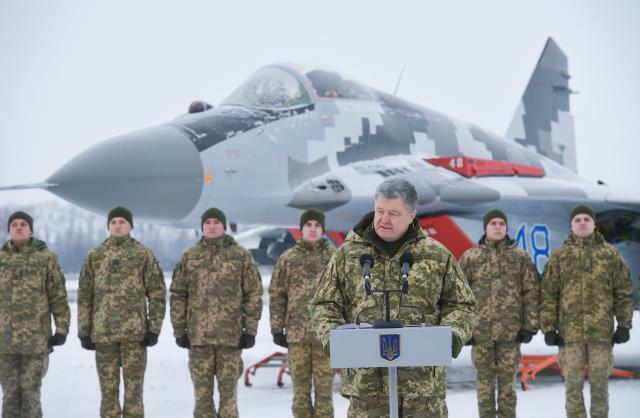 Ukraine has introduced martial law in parts of the country for 30 days, and Poroshenko said on Saturday military reservists in those areas would practice mobilizing and that military factories would be changing the way they worked too. The incident took place near the Kerch Strait between Russian-annexed Crimea and southern Russia, which controls access to the Sea of Azov, location of both Russian and Ukrainian ports. Moscow says Ukrainian navy ships entered Russian waters while trying to cross the strait without prior notice, ignoring orders to stop. Kiev says its ships should need no Russian permission to cross the strait.